“Awesome”, “Fabulous presentation”, “It was wonderful – thank you so much!’, “What a great way to see the Fool – going HOME”, “Thank you, I learned a lot”. These are just some of the comments from people who were in the live recording session where Evelynne Joffe explained how a knowledge of the Kabbalistic Tree of Life enhances your understanding of the Tarot. Evelynne uses the Rider-Waite-Smith deck in the presentation because its creators (members of the Golden Dawn) were students of the Kabbalah and the pictures on the cards were designed specifically to reflect teachings on the Tree of Life. The most intriguing aspect of the session is the ’Hanged Man’ perspective on the Major Arcana. Evelynne takes us on a journey of soul enlightenment from card 22, the World to card zero, the Fool. Should we choose to pursue a spiritual path, this is the journey our soul takes as it moves towards wholeness or unity with the Divine. The joy of the Fool is the joy of looking up, seeing the light and rejoicing that you are HOME. This Kabbalah class is a taster for Evelynne’s 28 session course called Living the Tree of Life which is available through Global Spiritual Studies. Click here for information about the course and Evelynne’s long involvement in teaching Tarot and Kabbalah. Evelynne Joffe, a Director of the Institute of Esoteric Studies in Melbourne, is a well-known and respected teacher,writer and lecturer of the Kabbalah. She is also a dream therapist and Tarot counsellor. Evelynne was the founding Vice President of the Tarot Guild of Australia and a past President of the Tarot Guild. 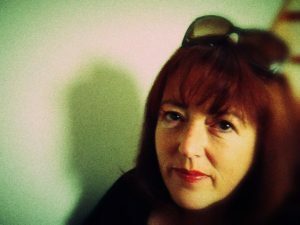 She has has offered courses in Melbourne on the Kabbalah, as well as beginner and advanced Tarot since the early 1990s. She has also lectured and written on Tarot widely in Australia and overseas. A video recording of the class is available as Windows Media files (.wmv). It can be viewed on PCs using Windows Media Player and on Macs using the free VLC multimedia player for Mac operating systems which can be downloaded here. recording stored on a USB flash drive: $29 + airmail postage added at the checkout.